Memento Mori are reminders of our mortality. These can include such things including cut flowers and sand clocks, but the most iconic of the memento mori are skulls. I don’t think I’ve ever understood why people are uncomfortable with skulls. Don’t get me wrong, I know why. Skulls represent a person who was once breathing and is now gone. You look out of your eyes which are set inside the skull’s sockets, like a cage that holds your spirit in. Someday, when you draw your last breath, after your skin rots or burns away, your bones remain; a reminder to others that you were once among the living. I don’t see this as something that needs to be uncomfortable. Far from it! I think remembering our own mortality can help put ourselves in perspective. 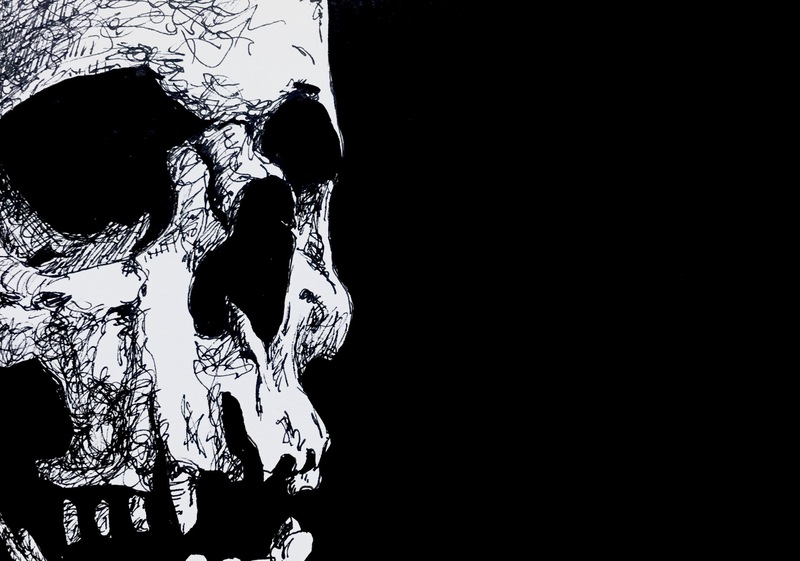 Last November I drew a skull a day. I’ll be posting a few of them with some thoughts. Until next time, don’t forget to dance.